Browse for the best and cheapest online deals on Intel tablets, laptops and desktops here. You can check various brands such as Acer, HP, Lenovo, Dell, Asus and compare prices to check which one fits your budget. 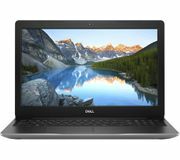 There are different specs to choose from, whether you are looking for gaming laptops or those with quad core processors. Don't forget to use voucher codes from Ebuyer, Currys PC World, Amazon, Microsoft and John Lewis so you only need to pay a portion of the price. Other special offers such as free delivery, freebies and extended warranty are also up for grabs. Intel is one of the largest and most valued semiconductor chip-makers to date. They supply processors for the top manufacturers of computer system such as Lenovo, Dell, HP, and, yes even Apple. Intel specialises in devices related to computing and communications. They are widely known for manufacturing flash memory, embedded processors, motherboard chipsets, graphic chips, network interface controllers and the like. This American multinational corporation is the typical go-to of computer owners. Here at Latest Deals, our massive community of savvy bargain hunters always have the best money-saving tips and deals for Intel products. 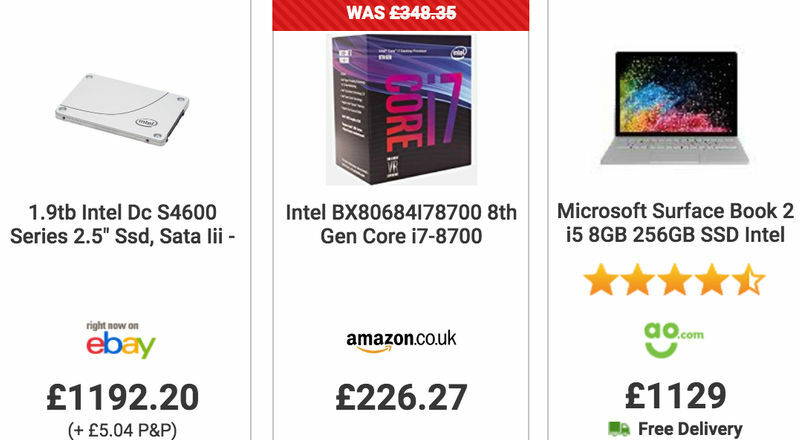 Get the latest voucher codes, coupon codes, discount codes, and the hottest offers for Intel from various trusted UK retailers such as Currys, AO, Amazon and Argos. Find the best possible cheap Intel deals online to get amazing savings that you can only get here. 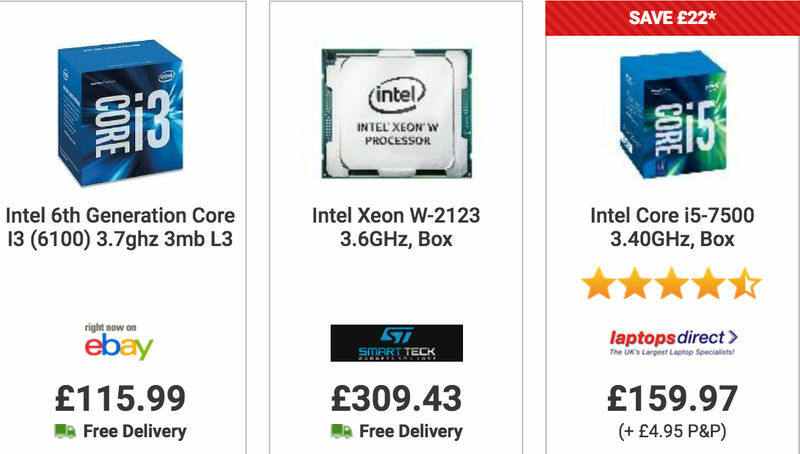 Where Can I Find the Best Cheap Intel Deals in the UK? Amazon. Not only does Amazon offers good deals on new processors, motherboards, cpu & more, you can surely get much deeper discounts on Amazon’s Warehouse Deals. The items may be used but still of high quality as these are inspected by Amazon’s multi-point quality inspection process. If you want to get more pounds off your PC purchase, it is best to take advantage of Amazon’s weeklong Black Friday promotion. Here, you can find the best PC gaming deals in the entire UK. Argos. Whether you want to upgrade your laptop or PC or you want to purchase a new one, you can find multiple options at Argos. 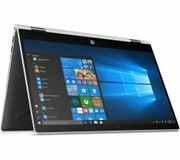 The retailer offers fantastic deals for your PC needs on their Technology Department online where you get to either reserve the item or purchase it right away. If you cannot wait any longer for your Intel powered device, don’t worry as they offer same day delivery at just £3.95. AO. Specializing in electrical goods, this online retailer is making noise in the UK market since 2000. 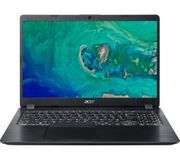 AO offers laptops only from the best and well-known brands such as HP, Acer, Lenovo and Asus, and has a wide collection of Intel Core processors, graphic cards, RAM and more. You can get big discounts off their Unbeatable Summer Deals and even more on their Black Friday sales. This list is based on the CPU’s features, performance, and of course, price tags. Intel Pentium G4560. If you want to get the power of Intel Core i3 and pay the Pentium price tag, well look no further. The Intel Pentium G4560 gives you what you have been missing. You read it right! This Pentium processor features hyper-threading and it has been proven to be almost of the same performance as the more expensive Intel Core i3. Intel Core i7-8700K. Be on top of your game with this star. The Intel Core i7-8700K features the Coffee Lake processor which sports twelve threads and six cores –don’t forget the 12MB of L3 cache. You can get its maximum performance by pushing up the base frequency to a whooping 5GHz. Intel Core i5 – 7600K. If you are looking into getting a K series core processing, but you are only willing to pay the cost of an i5, focus your eyes here. Intel Core i5 – 7600K features Intel’s Turbo Boost technology that will speed up the performance of its processor. This can do wonders for your gaming. Intel Core i5-8400. You really do not need to shell out money for CPUs of the highest price tags if you are looking into a CPU that offers six cores, up to 4GHz speed boost, integrated graphics, and 9MB of L3 cache. Intel Core i5-8400 boasts its low power consumption and appealing price tag. Intel Core i3-7100. The best budget CPU deal award for this list goes to Intel Core i3-7100. This is what you need for your everyday tasks –from computations to word processing. You can even enjoy light gaming with its integrated Intel HD Graphics 630. Amazon offers up to 15% discount on Intel Core i3-7100 on some occasions. These extremely affordable chips rarely go on sale, but if they do, you get to keep a couple of pounds to yourself. Which one is right for you? Watch the video to find out all of the important details to help you make a decision on which Intel CPU best suits your usage needs. One of the many reasons Intel core i7 was put to life is to make browsing and online payments simpler and safer. You can also let go of the burden of carrying multiple cables as this one compact port does all the work efficiently and even better without the cables. The Core i7 has EMIB that allows the discrete graphics chip and high bandwidth memory to be bundled in the same package. The Embedded Multi-die Interconnect Bridge serves as an intelligent info bridge to important components. This saves space and permits futuristic thin and light devices that can keep up with the most demanding content creations, high-end gaming and best VR experiences. On Desktop: Though both Desktop Core i5 and i7 processors tend to have similar processor core number, they have different clock speeds and number of supported threads. Core i7 is ahead of the game considering that it supports hyper-threading. That feature made i7 the ideal CPU for multitasking. As for the Core i5 processors, they have insignificantly lower clock speeds, which is fine for basic users but not ideal for users who perform serious multitasking. On Laptops: Core i5 is quite different when it comes to its mobile version. Desktop core i5s do not support multi-threading, but for some of its mobile versions, it do. That still does not get rid of the fact that Core i7 processors are still way more powerful compared to Core i5s. 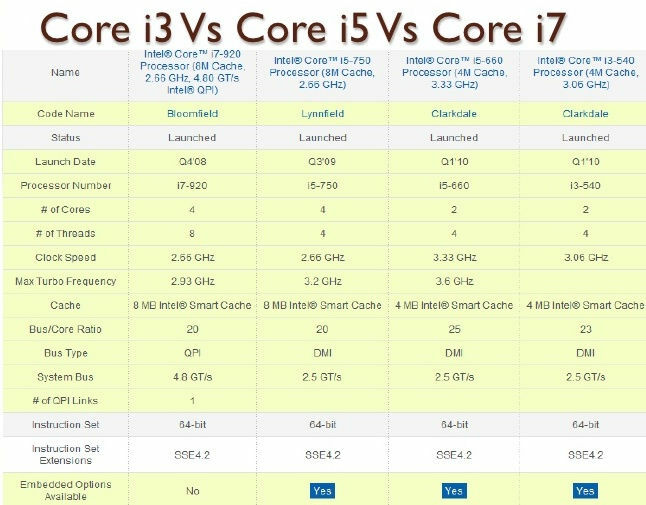 While the 8th generation i5 processors support eight threads and feature four cores, most of the Core i7 CPUs support 12 threads and feature six cores. Know what applications you need. Is your computer for gaming or photo editing? Whatever that is, it is best to assess your computer’s use. Number of cores. If you’re just in for the basics like web browsing, you can settle with one core; however, if your tasks demand high and faster performance such as gaming and video editing, four cores at the minimum should work fine. Each core works together as one processor. If your processor has several cores that means it has the ability to run processes during the same time. That is because it splits the workloads among each core. How’s the performance? Do some research and check on other people’s reviews on the specific CPU you’re looking into purchasing. You can find feedback on the CPU’s performance under different workloads on various websites. Do not forget to compare your top choices to know which has the best features. Compatibility. Aside from making sure that your CPU fits your motherboard’s type of socket, you also need to know if your component is too fast for the other component. Most likely, it will slow down so the other can keep up –and that’s just a waste of its features. Make sure your CPU and GPU cost are close to be on the same and safe level. Size of the board. This depends on what you want to get out of it. If you are looking into building tiny PCs for media or gaming, you can settle with Mini-ITX motherboards – the smallest in the market. You also need to consider the few memory sockets and PCI slots for the minis.The medium sized boards or Micro- ATX motherboards has good memory options and storage. This offers a solid amount of hardware.ATX board is the largest and the most used option. It has multiple advantages like more PCI-Express slots, memory sockets and better storage that you can’t find on any other motherboard size. Chipset. You need to find a chipset that supports more features to get the most out of your money’s value. Number and speed of memory sockets. Make sure that your board can keep up with your DRAM. PCI – Express sockets. This is very important if you wish to connect expansion cards.